Renegade Craft Fair was in San Francisco this weekend, and a few friends and I ventured up to Fort Mason to check it out. I recognized many of the same vendors as last year but there were a handful of new ones too. 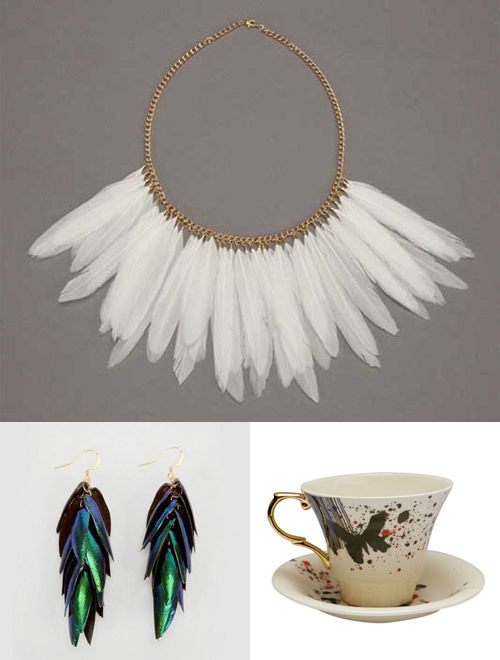 I snagged a handful of business cards for gift ideas but I couldn’t resist buying a few things for myself too. 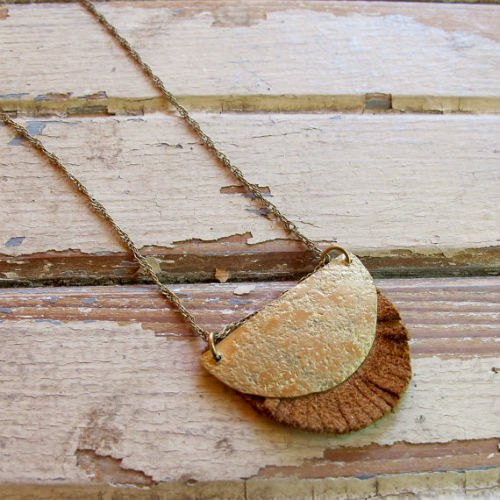 I got a beautiful leather and brass necklace from Tangleweeds. I forgot my camera (argh!) 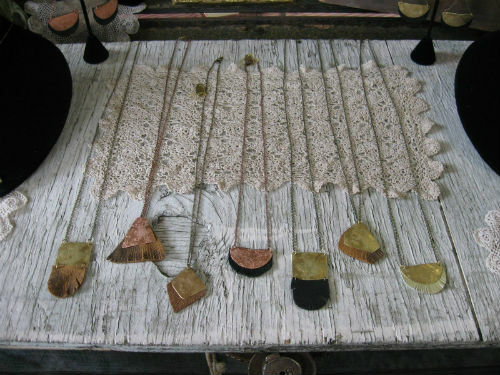 but fortunately Jeannine took some photos of her booth. The one I bought is the half moon with cream leather on the far right. 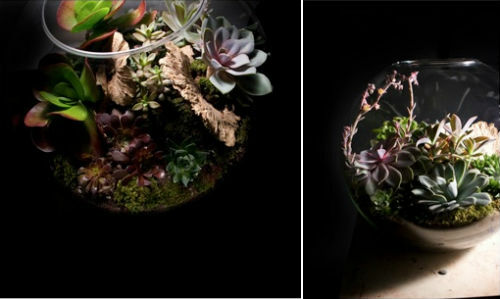 I also got a succulent planter from Planted by Chandra Abel Designs. As you can imagine, her booth was a big hit at the fair. I had to fight my way to the front of the table to grab one of those lovelies! I can’t tell you the last time I wore earrings (I’ve been wearing necklaces or nothing lately), but the gold ripple earrings from Laura Lombardi‘s s/s collection certainly have me reconsidering this morning… Aren’t they beautiful? 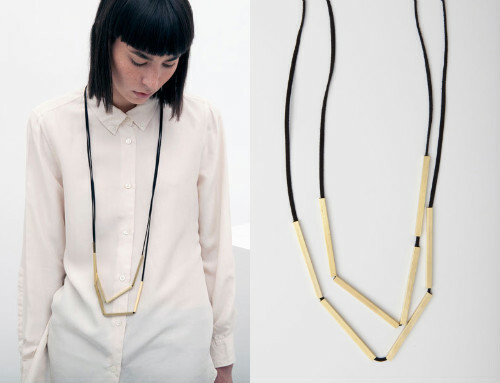 Loving this suede and brass necklace from Iacoli & Mcallister. 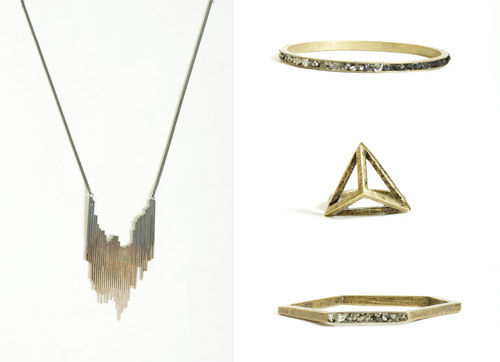 Love the angular pieces from Lady Grey jewelry at Totokaelo. 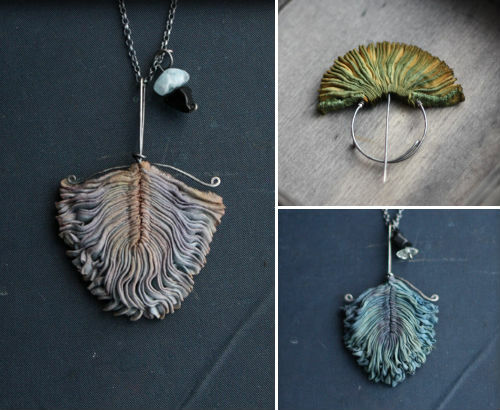 Lovely little curiosities from Luna & Curious… I’m crazy for that feather necklace! 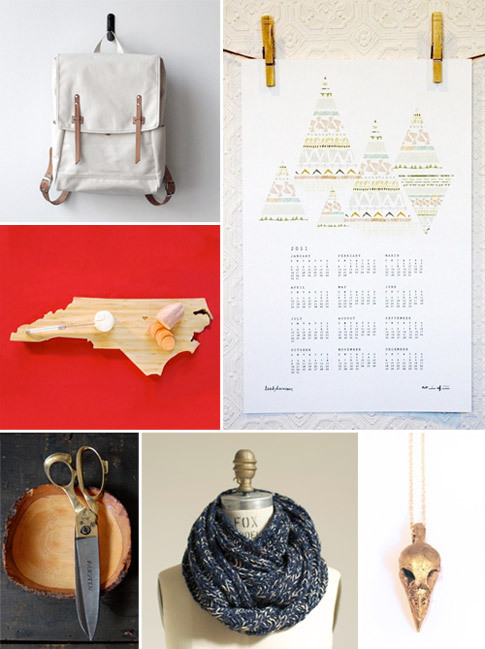 Casey is sharing some fantastic gift ideas (featuring local, small batch or handmade gifts) from a number of bloggers this week over at K.I.D. Collective, and I am honored to have been included! Hop on over to see my picks.